The hike to the beautiful village of Masca seamed from lots of natural palm trees and leads us down through the impressive valley until we arrive at the sea to take a boat trip to see the giant cliffs of Los Gigantes. We pick-up from Hotels in Los Cristianos, Las Americas, Costa Adeje and then the group’s going by bus the trekking tour start point. Our panoramic hike starts above the small Santiago del Teide town at Puerto de Erjos. We will proceed up the forest road which goes up to the saddle between large and small Mount Gala. For those who wish from here it is possible to do a short climb up to the top of small Mount Gala. You will have a fantastic view over the entire Teno mountains and, depend of the level of clouds and the weather even to La Gomera and La Palma islands. 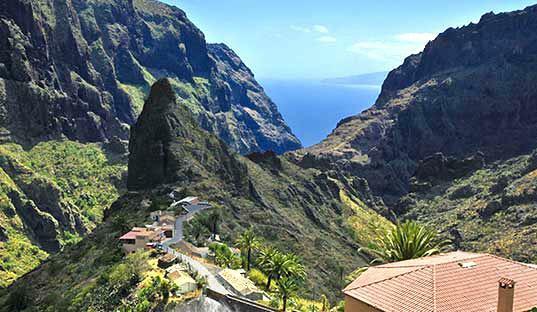 From this location you will be able to see our final destination – Masca village. From the meteorological divide and the green Laurisilva vegetation you will then descend along an old goat track to Masca village. 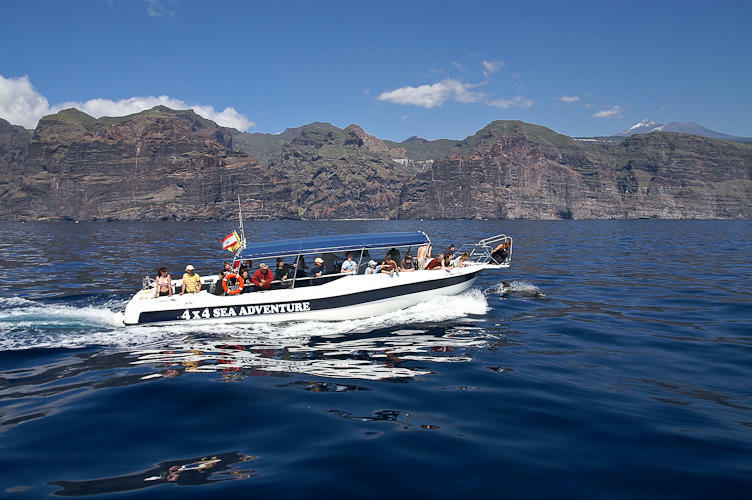 On Wednesdays – our 30 min long boat trip along the impressive cliffs of Los Gigantes to Masca Bay will begin. On Sundays – on Sundays longer 1 Hour long Dolphin watching boat trip is included. 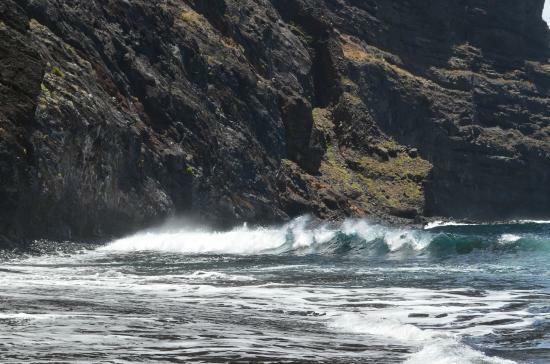 In the afternoon, after the boat trip the bus will transfer you from Los Gigantes back to your hotel. In order to make your booking of MASCA Trekking Tour + Boat Trip easy and comfortable Tenerife Host use the most advanced and user friendly booking platform TripsPoint.com where you can easily check last actual prices, the tour availability, required booking deposit and book this tour. To get more information of MASCA Trekking Tour + Boat Trip and do booking, please, click the button ‘Book Now’. You will be taken to the tour page at TripsPoint.com where you can easily book the tour. Once the booking of MASCA Trekking Tour + Boat Trip made at TripsPoint you will get your tour Voucher / booking confirmation with all details, including exact pick-up point, pick-up time, pick-up point map. 29€ – per child 2-11 y. Walking equipment is possible to rent – all sizes are available (shoes – 3€/pair, walking sticks – 3€/pair, backpack – 3€/pc). Pure walking, hiking: 3 hours.